Fr. 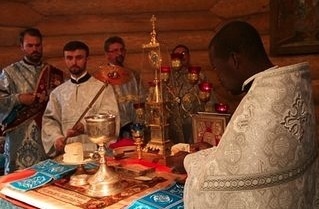 Augustine Gesnel recently returned home to Jacmel for a short break from his studies at the Russian seminary in Paris. He visited his family and participated in the recent visit of Metropolitan Hilarion to Haiti. Fr. Augustine has since returned to Paris to complete his studies, afterwhich he hopes to serve as the parish priest in Jacmel. Our Haitian seminarian, then Deacon, Augustine Gesnel was ordained a priest by Archbishop Michael of Geneva. 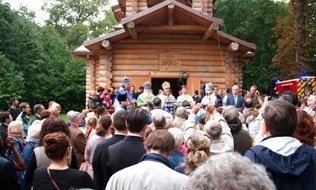 The services took place at the consecration of the new Russian Orthodox Church of the Nativity of the Mother of God, in Paris, Epinay-sous-Senart, September 29, 2014. Since our last update, plans for the Mission's medical response have solidified. Thanks to the generosity of several donors and a large loan, we are now moving forward and, God willing, we will have a treatment center operating in Haiti by December 9. The servant of God George Stanley Zamy was an active and intelligent child of ten years. He died Sunday, November 7, 2010, following a short illness and his funeral was served on Saturday, November 13, at St. Augustine Parish in Jacmel. 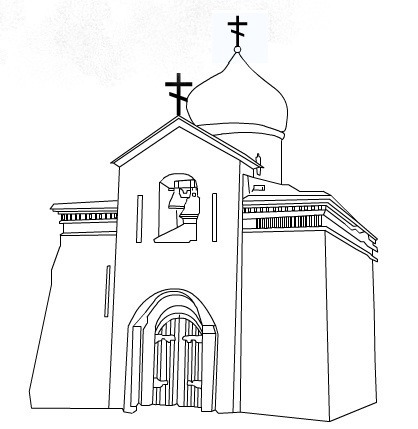 His parents are members of the Orthodox Church. May his memory be eternal! With the blessing of His Eminence Metropolitan Hilarion, the Mission in Haiti has established a building fund for the parish of St Augustine in Jacmel. Like all the parishes in Haiti, this is a thriving community. It is in dire need of a permanent church — services are currently held in a tiny rented room, which is much too small. Many of the faithful must stand outside under a tent.